Our new and used Honda dealership offers a complete car buying experience in a hassle-free environment that leaves you free to make confident, informed decisions. 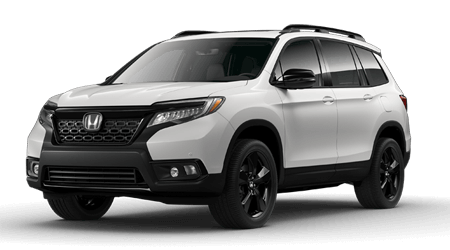 Our knowledgeable staff is well-versed on all the competitively priced vehicles we carry and can walk you through the comprehensive warranties that come included with a brand new Honda CR-V or talk to you about the amenities the Odyssey boasts. Allow us to review our impressive Lifetime Warranty, our Love It or Leave It policy or the Morristown difference! Visit our Morristown, Tennessee location near Jefferson City today or use our easy-to-navigate website to explore our new Honda inventory right now. Discuss your new or used car needs with a Honda Morristown team member today. We'll introduce you to viable options that complement your search requirements and get you behind the wheel for a few test drives! Our Honda finance department is standing by, ready to help you apply for auto loans, even if you hold a less than perfect credit score. Be sure to visit our Honda dealership near Rogersville, TN periodically to handle those oil changes and tire rotations, as our Honda service department is staffed with factory-trained professionals eager to get the job done! We thank you for allowing Honda Morristown to assist with all your needs and encourage you to explore our online resources right now!